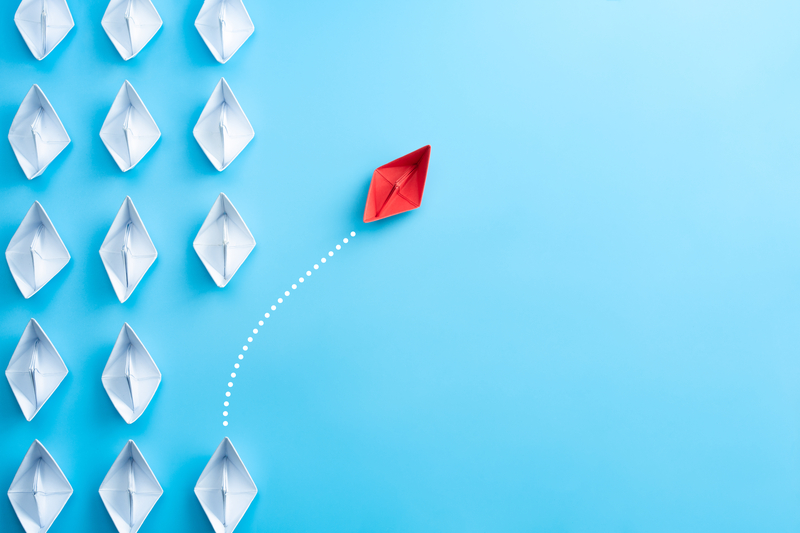 It’s all too easy to get stuck in a rut at work, where a sense of sameness takes up residence, learning and growing is stunted, and career advancement opportunities seemingly come to a grinding, screeching halt. The truth is, you can’t count on a boss or anyone else to jumpstart your path to greater achievement and career opportunity. On the other hand, it’s not like the opportunities are laying around, waiting for you to notice them, either. Wait a minute. Doesn’t success and greater opportunity come from being a generalist, jack-of-all-trades that’s good at everything? Well, sure. So what’s your plan to quick go get good at everything? Right. But what if you chose an area to specialize in and became an absolute expert at it–so much so that people seek you out for your subject matter knowledge? It would be a point of differentiation among peers. I did that in the corporate world, repeatedly volunteering to give inspirational leadership talks (outside of my normal responsibilities) and building my skill at it until I became a go-to choice for such talks within the company. Then I started getting asked to speak outside the company, then I left corporate and became a professional speaker. Opportunity that wasn’t obvious at the time or handed to me, but created out of specific expertise I developed. When you go looking for problems that nobody knew they had and craft solutions to solve those problems, you literally just manufactured opportunity and success for yourself, in a memorable way. Some of the biggest boosts to my career followed times when I preemptively solved an unforeseen issue or filled a customer’s/consumer’s unmet/unarticulated need. What if you went on the hunt for a series of things you could quickly make small but meaningful improvements upon? Got a new product launch process that’s clunky and outdated? Make a few smart changes to grab that “low-hanging-fruit” opportunity. In other words, look to one-up things that could use it (note I said one-up things, not people–that’s just annoying). Nope. If you’ve got the game to back it up and know you’re in good stead with your boss, there’s nothing wrong with asking for assignments, resources, and support that are so aggressive it would require your boss’s boss to approve. If it’s well thought through and reasonable, why not ask? It’s a mindset, not a roadmap, so don’t take it literally that it’s something the two-up boss would have to approve. It’s all about this question: “Have you asked for enough?” Some of the more astonishing achievements and career gains I’ve seen peers enjoy happened because they asked for things that others didn’t (including me). The norm is that before we pursue an opportunity or idea at work, we’re accosted to have data in hand and precedent aplenty, first. Sure, that’s efficient and protects resources. But I also believe the good ol’ art of following a hunch has been lost. Sometimes you need helping hands at work. But with handiwork of your own, you’ll double your chance of getting what you want.